As a business owner, you need to constantly be aware of customers’ responses to your products and the brand in general. There are several strategies including product reviews to get an idea of how customers are perceiving your products. Social media is a powerful space for marketeers. However social media comments are largely out of your control as customers are posting on their own will, without your active intervention. This is why most popular companies are resorting to intense social media monitoring. In fact, it will help them be updated about the conversations surrounding the brand. Social media monitoring tools have become more advanced as use strategies like sentiment analysis to derive insights from vast volumes of customer opinion. In this article, we are digging deep into social media monitoring tools to understand how sentiment analysis makes a difference. 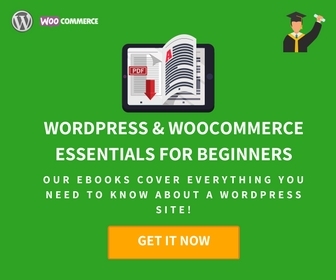 If you are wondering how to identify target audience for your WooCommerce store, here is an article that will give you some valuable insights. 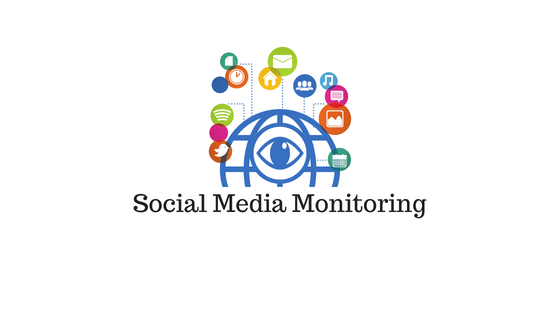 How social media monitoring helps? For any business, understanding the interests of your customers is really important. Social media channels are the right place where customers are freely talking about their likes and dislikes. By monitoring the social media mentions of your product or brand, you can get deep insights regarding how different customers perceive their products. There are several examples where big brands effectively use this strategy to understand how customers are finding a new product. For example, Samsung was able to identify a problem with their Galaxy S8 smartphone by observing social media comments. And, since they identified it pretty early, they could come up with a solution and avoid it from escalating into something big. Similarly, social media monitoring helps a lot in competitor analysis as well. By monitoring the conversations around a competitor’s product, you can focus on improvements in your own products. And, you can also find out trending features and functionalities, to give an edge to your marketing efforts. For example, you can understand if there is a hype around a particular feature of a competitor’s product. If you have a product with the same feature, all you have to do is to create a buzz. Samsung has explained how they manged this too in a discussion with Econsultancy. You can read more about Samsung’s AI-enabled social media monitoring efforts for product improvements and competitor analysis here. Now, let us discuss some useful tools you can use for social media monitoring of your business. Buffer gives you the scope to manage all your social media accounts at one place. You will be able to create a schedule for your social posts, as well as analyze the performance of various channels. With the help of Buffer, you will be able to track how your posts are performing in various social media channels. Understanding customer engagement and interactions are key to business success, as eCommerce is largely leaning towards personalization. 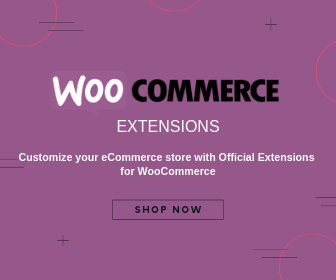 Get yourself acquainted with some useful tips to personalize customer experience on WooCommerce here. By consistently analyzing your engagement metrics, you can get a solid idea on what type of content is preferred by your audience. This would enable you to focus specifically on such content, and find better user engagement. With Buffer, you will be able to track all key engagement metrics like reach, likes, shares and comments. It also helps you clearly identify the best performing content. For example, if infographics are showing better engagement than text or videos, you can shift your focus accordingly. Buffer also helps you with easy exports of the reports on social media performance. They offer flexible pricing plans that suit all types of businesses. There is a plan for small businesses that is starting at $99 per month, which will help you manage 25 different social media accounts at a time. You will also be able to schedule up to 2000 posts with this plan. You will find suitable plans for medium and large businesses as well. All business plans have 14-day free trial. You will be regularly publishing blog posts on your WordPress site. How will you manage to automate a social posting strategy every time you publish or update these? Well, this is the plugin that will help you with that. This plugin helps you connect your WordPress site to your Buffer account to schedule WordPress posts as and when you publish or update them. Basically, this plugin connects your WordPress site to your Buffer account. Every time you update or publish a blog, it will send updates to your Buffer account. You will be able to schedule posts this way, and can effectively save yourself from the hassles of manual sharing. The basic version of the plugin provides option to connect to Facebook, Twitter, Google+, LinkedIn, etc. 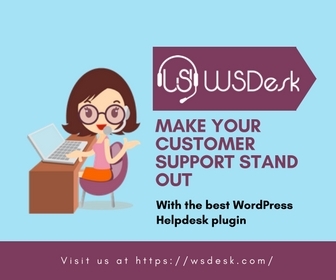 However, to integrate Pinterest, Instagram, etc., you will have to opt for the premium version of WordPress to Buffer plugin. Hootsuite offers awesome features to comprehensively handle social media strategy for your business. It helps you curate content that fits your brand identity and voice. Also, you can schedule a large range of posts to periodically make your presence felt. It also features great analytics tools that will help you measure the performance of your social media initiatives. More importantly, you can monitor and listen to what and how people are talking about your brand. You can use filters to search and find relevant conversation about your store or products. Basically, you can filter them by keywords, hashtags or specific location to identify patterns and trends. The location specific social media trends can be extremely useful to identify how different markets are responding to your products. You can monitor social media channels to spot conversations about your products or niches. Hootsuite also helps you set up multiple tabs to organize social media content from different channels. This way, you can easily share it within your team. Moreover, you can assign it to different people to ensure that it is promptly responded to. If needed, you can also review the responses to make sure that it is suitable to your brand’s tone of voice. They offer varied pricing plans suiting the size and scope of your business. For small businesses, you will find a plan starting at $95 per month, where you can manage unlimited scheduling for 20 different social profiles. You will find advanced features like custom analytics and team assignment options with this plan. When social media monitoring is handled by tools powered by Artificial Intelligence, you might frequently hear the word sentiment analysis. It is nothing but the process of identifying and understanding subjective information, and deriving insights relevant to a domain or business. In an online store owner’s perspective, you will be able to understand the tone of voice of your customers or prospects, while they talk about your store or products. This will be especially important to understand both favorable and negative perceptions about your brand or products. With consistent social media monitoring and sentiment analysis, you can capture rising demands, or losing enthusiasm around your products. Here, we will examine some of the advantages of using sentiment analysis in your social media monitoring efforts. Regular feedback is something that will help you a lot in improving product features. And on social media, you can get instant feedback on your new products or product features. From the insights that you gain from sentiment analysis, you can easily identify, how a particular feature is received by audience. Here, positive comments will give you the assurance to go ahead if you are planning a mass production. On the other hand, negative feedback will help you address specific user concerns, and reduces risks in production. When you are maintaining an online store, it is important to be aware of customer perceptions around your brand. Sometimes, one bad review is all it takes to create a negative perception about your brand. So, it is important that you find out negative comments well in advance, to be able to do some damage control. Persistent social media monitoring powered by sentiment analysis tools will help you spot negative comments more easily. Similarly, acknowledging positive comments on social media would be a great strategy to improve customer loyalty towards your brand. When you recognize positive comments and offer a word of gratitude, customers would feel motivated to share their positive experiences as well. In many instances, you might have noticed a similar product by a competitor is faring much better than yours. Using sentiment analysis to compare the user response to both products will give you valuable insights to help you improve your product. Sometimes, you may find a negative perception about some feature on the competitor product as well. This too, can help you take appropriate actions that goes more in tune with social perception. In today’s eCommerce scenario, everything is centered around customer perception. So customer’s opinion would value more than copybook marketing wisdom at times. You may find an out-of-the-box product idea or marketing perspective when you consistently manage sentiment analysis on your social media channels. Sentiment analysis can be a great tool for your marketing initiatives. Often companies tend to measure marketing efforts only by the returns they bring in. And you may know from experience that all marketing campaigns won’t bring you the desired results. What if you got a heads up on some of the low-performing campaigns well in advance? You could easily make adjustments to make it more suitable to the tastes of the audience. Sentiment analysis helps you manage exactly this. 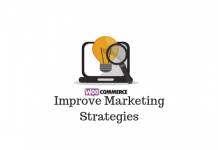 It helps you derive early trends of your marketing campaigns so that you can improvise them effectively. WooCommerce has made it especially easy to create a store that caters to a multilingual and multicultural audience. However, you may need to approach with caution, when you are dealing with new international markets. Your brand’s usual tone of voice may not be the best fit in a new market sometimes. Or, your advertising copy might be offending some of your potential customers. It is great to know these aspects well in advance, before they can break your business. Nothing helps you more than sentiment analysis in such matters that involves a lot of subjective perception. A WordPress tool that uses some aspects of sentiment analysis is Watsonfinds. It helps you with sentiment analysis insights about your posts, pages, comments as well as product descriptions. Unfortunately, as of now, this is only an analysis of the content that goes out from your end. Before publishing content on your WordPress site, you can review the content and get insights on what emotions it is evoking. From a spectrum of emotions ranging from Joy to Fear, you can choose what you want to convey. Understanding the emotional perspective behind your text will help you improve your marketing communication, a lot. Considering the possibilities of sentiment analysis, this is quite superficial. We hope more WordPress tools are coming soon with fancy features. With advanced strategies like sentiment analysis, social media monitoring has become more smooth and insightful. Companies can make use of this to understand customers better. It can help you a lot to improve product development and marketing strategies too. Irrespective of your eCommerce platform, you can signup for one of the advanced tools and get your voice heard in social media circles more accurately.